A look at 14 upperclassmen (and a sophomore) who tested the NBA draft waters before returning to school and soaring. Plus, more from the week that was in college hoops. Mike Brey should be careful what he wishes for. Brey is in his 17th year as the coach at Notre Dame, so he has the luxury of speaking his mind. He caused a bit of a stir last week when, in advance of his team’s Saturday game with No. 1 Villanova in Newark, N.J., he said he hoped “the discussion can be around two teams with veterans back that have won instead of a lottery pick freshman who maybe is hurt but maybe he’ll be back before Christmas.” Though a few click-baiting editors posted some inflammatory headlines suggesting Brey was taking a “shot” at Duke (where he used to be an assistant), Brey was actually taking a shot at people in the media who pay too much attention to one-and-done freshmen and too little to upperclassmen who became good the old-fashioned way. To which I respond: Guilty as charged. Sure enough, on Saturday Brey’s team was done in by an otherworldly performance by Villanova senior guard Josh Hart, who scored a career-high 37 points (on just 14 shots) to go along with 11 rebounds, four assists and two steals in the Wildcats’ 74–66 win. Brey’s remarks got me to thinking about all the other upperclassmen who are having stellar seasons. 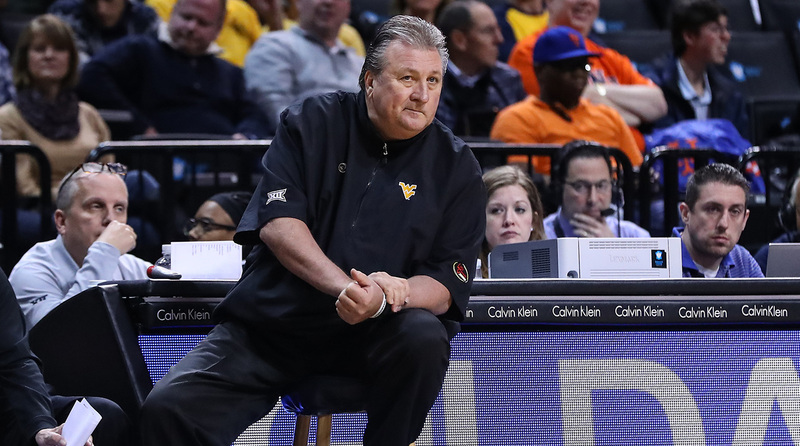 Specifically, I locked in on players who took advantage of the more liberal set of rules put in place last year that allowed them to enter their name in the NBA draft, get some feedback from scouts and executives, and then return to school. In that spirit, I have assembled a list of 15 such players (14 upperclassmen and a sophomore) who are worthy of our acclaim. This not just a sentimental exercise. Many of these guys are likely to play important roles in late March and early April. The least we can do is make sure they are a part of the discussion. Trevon Bluiett, 6' 6" junior guard, Xavier. One of the main things Bluiett needed to do was get himself in better shape. So he dropped 20 pounds over the summer and has a returned as more sturdy, dynamic athlete. A three-year starter, Bluiett is posting career highs in minutes (34.3), points (19.2) and free throw percentage (82.7). The lighter weight means a quicker first step, which has enabled him to shoot 5.2 free throws per game, up from 3.6 as a sophomore. James Blackmon Jr., 6' 4" junior guard, Indiana. We are coming up on the one-year anniversary of the day Blackmon suffered his second career ACL injury, which ended his sophomore season. Remarkably, he has returned even more explosive than before. He opened the season by going for 26 points in an overtime win over Kansas and remains the Hoosiers’ leading scorer at 16.9 points per game. He is also grabbing a career-best 6.6 rebounds per game. Jaron Blossomgame, 6' 7" senior forward, Clemson. It would have been understandable if Blossomgame had stayed in the draft after he was voted first team All-ACC. Though he sank 44.6% from three-point range last season, he came back knowing he needed to improve his perimeter skills. He is not off to a promising start, having made just 3 of 25 (12.0%) from three-point range so far, but it would be surprising if he didn’t break out of that slump in the near future. Dillon Brooks, 6' 7" junior forward, Oregon. Brooks had an outstanding sophomore season, which culminated in the Ducks advancing to the Elite Eight. However, Brooks was not invited to the NBA’s predraft combine, so he returned to Eugene—and proceeded to break his foot and undergo surgery in July. It has taken a while for Brooks to regain his form after missing the first three games, but he has scored 53 points in Oregon’s last three contests, so it appears he is ready to have yet another stellar Pac 12 season. Deonte Burton, 6' 5" senior guard, Iowa State. Burton was a mid-semester transfer from Marquette who became eligible in the third week of December last season. He appeared to have a hard time fitting in, but now that do-everything forward Georges Niang is gone, Burton has embrace his more prominent role. He had 29 points and 12 rebounds in a close loss to Gonzaga on Nov. 27, and on the season he is averaging career highs in points (13.7) and rebounds (7.7). Josh Hart, 6' 6" senior guard, Villanova. Hart may not end up being the most outstanding player in college basketball, but he is almost certainly the most versatile and most valuable. He has always been a great rebounder, but this season he is making 46.7% from three-point range (up from 35.7% as a junior) and he has doubled his assist average from 1.9 to 3.8. He is also a first-rate defender and leader. Nigel Hayes, 6' 8" senior forward, Wisconsin. During the first couple of weeks of the season, it appeared Hayes might have learned the wrong lessons from his brief stay in the draft. After his three-point shooting cratered last season, Hayes came out firing this fall, and as a result his offense got out of whack. During Wisconsin’s first six games, Hayes attempted nearly 54% of his shots from three-point range. That included a horrific 1 for 7 performance in a loss to North Carolina on Nov. 23. Since then, Hayes has attempted a total of four trifectas (making three) in his last five games. In the meantime, he has shown that he is an expert passer. Hayes had 17 points, nine rebounds and four assists in Saturday’s road win at Marquette. Kris Jenkins, 6' 6" senior guard, Villanova. Jenkins will forever be known as the hero of the 2016 championship, but he wisely did not allow that to seduce him into turning pro too early. As good of a shooter as Jenkins was last season, he is even better now in posting career highs on threes (41.5%) and free throws (90.9). He is also averaging a career high in rebounds (4.0). Justin Jackson, 6' 8" junior forward, North Carolina. Even though Jackson put up decent numbers during his first two seasons in Chapel Hill, he always left you wanting more. That is no longer the case, as he is brimming with confidence and clearly ready to assume the alpha male role he had ceded in the past. Jackson has raised his scoring average from 12.2 to 15.5, his rebound average from 3.9 to 4.7, and best of all, his shooting percentages have skyrocketed: 35.5% from three and 86.2% from the foul line. As a sophomore, Jackson made 29.2% from three and 66.7% from the foul line. With his frame and his game, he reminds me a lot of Spurs legend George Gervin. If Jackson had stayed in the draft, he would have been a borderline first-round pick. Now, he is a likely lottery pick who will play for a long time in the NBA. Peter Jok, 6' 6" senior guard, Iowa. Jok had been the lone bright spot in the Hawkeyes’ ugly 4–5 start, but thanks largely to his scoring excellence they enjoyed what might be a season-turning win over Iowa State last Thursday. Jok leads the Big Ten and ranks sixth nationally in scoring (23.8). He is also third in the conference in free throw shooting (90.6). Last season, Jok was a complementary piece to another do-everything forward in Jarrod Uthoff, but now that Uthoff has graduated, Jok is ready, willing and able to assume that mantle. Moses Kingsley, 6' 10" senior forward, Arkansas. Kingsley is a big, strong native of Nigeria who took a dramatic leap forward last season. He is having a tough go of it so far, as his scoring and field goal percentage have dropped. Kingsley played a total of 20 minutes in Arkansas’s two NCAA tournament games while he was a sophomore, but he hasn’t had a chance since then to show what he can do on the game’s biggest stage. Alec Peters, 6' 9" senior forward, Valparaiso. It was quite surprising when Peters announced he was coming back to Valpo, considering his coach, Bryce Drew, had left to take over for Kevin Stallings at Vanderbilt. Peters is hoping to take the Crusaders back to the NCAA tournament, but even if he doesn’t, he is going to make his mark as one of the best players in the history of that program. Peters ranks third in the country in scoring (25.3) and is 11th in free throw percentage (95.0). He also leads the Horizon in scoring and rebounds (9.2), ranks 22nd in field goal percentage (44.5) and though he has not shot the ball well from three so far (15 for 55), he did make 44.5% percent as a junior, so you can be sure that number will rise. Caleb Swanigan, 6' 9" sophomore forwward, Purdue. I realize this is supposed to be a list of upperclassmen, but I am making an exception because I was so surprised and impressed that Swanigan came back for his sophomore season. Plenty of players with Swanigan’s pedigree bolt for the draft after one year and come to regret it. (Michigan State freshman Deyonta Davis comes to mind.) Yet, Swanigan wisely returned and has shown a dramatically expanded offensive game, draining 61.5% of his three-point attempts after making just 29.2% as a freshman. Swanigan is also dishing 3.4 assists per game, which is on par with a lot of starting point guards. Melo Trimble, 6' 3" junior guard, Maryland. I’m not sure if Trimble is an NBA player, but I do believe he would have doomed his fate had he kept his name in the draft. He struggled mightily last season shooting the ball, making just 31.5% from three after sinking 41.2% as a freshman. His long-range shooting is still pretty bad (31.1%), but his overall percentage is up slightly. Mostly, though, I like the way Trimble is leading a Terrapins squad that is currently starting three freshmen. He needs to show that he has strong intangibles while he figures out how to bring his offensive game to NBA quality. Andrew White III, 6' 7" senior forward, Nebraska/Syracuse. White made two really smart decisions. The first was to withdraw his name from the draft. The second was to take advantage of the graduate transfer rule and leave Nebraska for Syracuse, where he currently leads the team in scoring at 16.9 points per game. White also spent his first two seasons at Kansas before transferring to Nebraska. • Since I’m usually the fly-in-the-ointment guy, let me add one cautionary footnote to Hart’s time-capsule performance against the Irish. Villanova actually trailed for most of the game, and I noticed a troubling tendency from the other Wildcats to wait for Hart to play hero ball. It wasn’t until a couple other guys stepped up in the last few minutes that ‘Nova was able to pull away. Because 6' 3" junior guard Phil Booth is still sidelined by lingering knee pain, Jay Wright only played seven guys on Saturday. The ‘Cats need to be more balanced moving forward. One-man teams usually don’t play deep into March. • Ditto for Pittsburgh and Michael Young. I doubt many people outside the 412 even know who this guy is, much less how good he is. Young is the ACC’s leading scorer (23.0 ppg) and had 29 in the Panthers’ win over Penn State in Newark. Yet when he struggles like he did against Duquesne (going 8 for 21 in a nine-point loss), Pitt is way too vulnerable. Plan A looks pretty good, but Plans B, C and D need some work. • Someday, when I’m sad and lonely and feeling blue, I will watch the first half of that UCLA-Michigan game, and I know I will feel better. 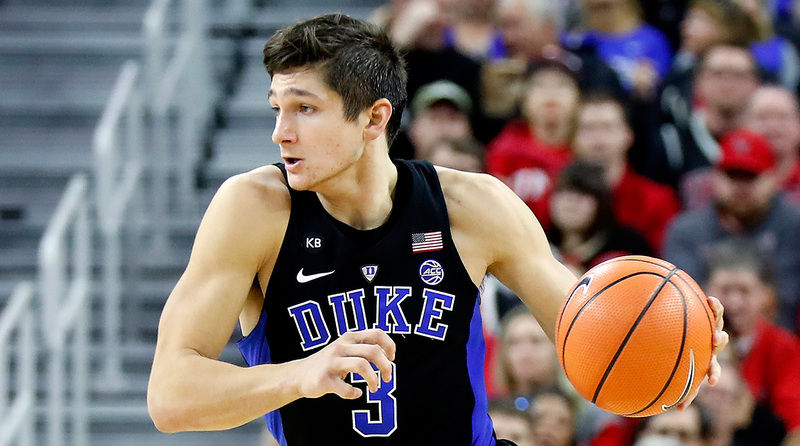 • With all the talk about how good Duke is and how much better it will be once Harry Giles joins the mix, it’s almost like we forgot about Grayson Allen, who was only the preseason favorite for national player of the year. Well, Allen re-introduced himself on Saturday by scoring 34 points on 16 shots against UNLV (including a devastating dunk). Allen has been nursing a sore toe for weeks, which has severely limited his practice time. The toe is better, and so is he, and so is Duke. Which is scary. • I really like the way 6' 9" senior forward RaShid Gaston is emerging as a primary post option for Xavier. Chris Mack just promoted him to the starting lineup, and he responded with a combined 25 points and 25 rebounds against Colorado (loss) and Utah (win). This isn’t a great outside shooting team, so having a strong pivot is, well, pivotal. • Things should also get better for Xavier once 6' 2" senior guard Myles Davis returns. Davis was a 38.1% three-point shooter last year, but he has yet to play this season following misdemeanor charges stemming from an incident involving an ex-girlfriend. • I like the way Chris Holtmann shook up his lineup after Butler lost at Indiana State last week. He moved 6' 7" junior forward Kelan Martin to the bench and promoted 6' 6" freshman Sean McDermott to the starting lineup. Martin still played 31 minutes and scored a team-high 20 points in the Bulldogs’ 10-point win in Hinkle over Cincinnati. I try not to overdo causation and correlation with this stuff, but this to me is a sign of a coach who has a really good read on his kids. 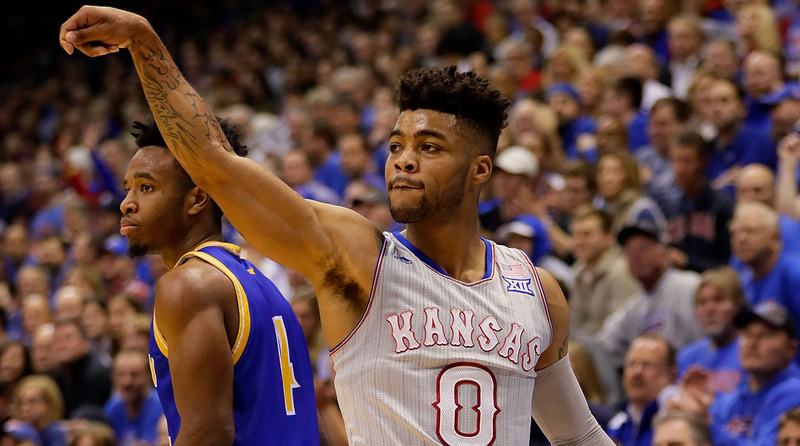 • What a year senior guard Frank Mason is having at Kansas. He had 18 points, seven assists and zero turnovers in Saturday’s win over Nebraska. On the season he is averaging 20.5 points, 5.5 assists while making 59 percent from the field, 54.8% from three and 74.1% from the foul line. Pretty good for a guy who originally committed to Towson out of high school. • Although now Kansas’s bench is even shorter with the indefinite suspension of 6' 10" sophomore forward Carlton Bragg following his arrest for misdemeanor battery. The Jayhawks are also ranked 341st in the country in free throw shooting percentage. There I go, dropping flies in the ointment again. • My annual tip for color analysts doing live games: Talk less. Nobody ever turned off a game and said, “That was a great game, but I wish the announcers talked more.” When in doubt, lay out. • Looks like Wisconsin is gonna be a second-half team again. 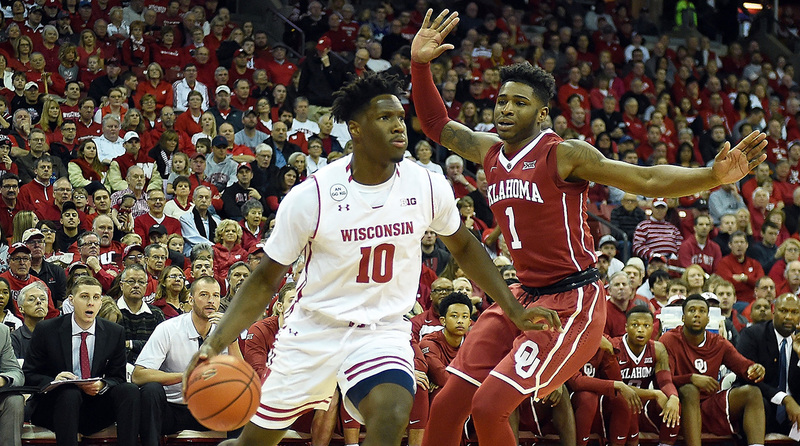 The Badgers trailed Marquette by five at halftime on Saturday yet ended up winning by 11—on the road, in a heated rivalry game, against an NCAA tournament-quality opponent. The story was similar one week before, when Wisconsin trailed Oklahoma by three at halftime in Madison and won by 20. This team has talent, but mostly it grinds down opponents with maturity, toughness and intelligence. So teams can hang with them for a while but eventually they wear down mentally. • File this under things I still don’t understand: Over his last eight games, Louisville’s 6' 7" sophomore forward Deng Adel has attempted 27 three pointers and just 10 free throws. This, from a long, graceful athlete who only shoots 31.4% from behind the arc. • I have to say, I really like what I am seeing from Purdue these last couple of weeks. First and foremost is the emergence of 6-foot freshman Carsen Edwards as the starting point guard. That has been a weak position here for several years. Mostly, though, I love the way the Boilermakers are shooting the ball, ranking fourth in the country in three-point percentage (44.1). They already have two immovable objects in the paint in Caleb Swanigan and 7' 2" junior Isaac Haas, so the ability to shoot the three is that much more lethal. • I love it when coaches refer to watching “tape” or “film,” even though no one has watched those things in decades. May those references never die. • It’s not often that a player transfers from Division II to Division I and excels for his new team, but behold Colorado 6' 5" senior guard Derrick White, who transferred from the University of Colorado at Colorado Springs. He is leading the team in scoring at 15.6 ppg. Michigan, meanwhile, is still benefiting from the addition last season of Duncan Robinson, the 6' 8" forward who transferred from Williams College, a Division III school. Robinson started out last season as a three-point specialist (Duncan be shootin’! ), but now he is much more versatile off the bounce. • By the way, I’m not one of those fuddy duddies who reflexively decries the proliferation of transfers in college hoops. Take Manu Lecomte, for example. He was playing for Miami but had a hard time getting playing time behind Angel Rodriguez. So he transferred to Baylor, where he is not the starting point guard averaging 13.9 points and 5.3 assists for a top-10 team. I say good for him. • Good sign for Texas that 6' 2" sophomore guard Eric Davis finally had a decent shooting game. Davis went 3 for 7 from three-point range and scored a season-high 16 points in Saturday’s win over Long Beach State. Prior to that, Davis had been 6 for 39 from three. Let’s see if he can keep it up, because this team has major issues in the backcourt. • I’ve always thought that too many coaches spend excessive time and energy complaining to the refs. Seems to me they’re just sending a message to their kids that it doesn’t matter how hard or how well they play, the odds are stacked against them. • I love that NC State played a game in the old Reynolds Coliseum last Saturday. And it was quite a game, too, with the Wolfpack needing to go to overtime to shake off Tennessee State. I wish more schools would do this. How about North Carolina playing a game in Carmichael, for example? • Speaking of NC State, the Wolfpack are about to get a major boost when 7-foot Turkish center Omer Yurtseven suits up this Thursday against Appalachian State. Yurtseven had to sit the first nine games because eligibility issues. I’ve never seen him play, but I hear he’s really good. • Another reason why college hoops is awesomer than all other sports: When coaches schedule road games in the hometowns of graduating seniors. • Syracuse 6-foot senior guard John Gillon, a graduate transfer from Colorado State, scored a career-high 23 points in Saturday’s win over Boston U. This after not scoring a single point in either of his previous two games. Guess Jim Boeheim is looking for some more options for his struggling offense—and found one. • Speaking of career high scoring games, it was good to see Rhode Island’s E.C. Matthews go for 31 points during a loss at Houston on Saturday. Matthews appeared headed for a breakout season last year but lost his entire season to a torn ACL. He has been O.K. thus far, but nothing real special. Maybe this is a sign of things to come. • Another 31-point performance on Saturday worth noting came from Illinois senior guard Tracy Abrams, who achieved that on 7 for 8 three-point shooting in a win over Central Michigan. He missed not one but two years because of knee injuries. That’s patience and perseverance paying off in a big way. Good for you, young fella. • The sneaky good win of the weekend was Wichita State’s 76–73 victory over Oklahoma. The game was played in Oklahoma City, not Norman, but it still came in a road environment against a pretty good team. Gregg Marshall has established a marvelous culture at Wichita State, which is allowing his team to weather the losses of Fred VanVleet and Ron Baker reasonably well. • Here’s another hidden gem that has been sparkling of late: North Florida’s Dallas Moore, a 6' 1" senior guard. How’s this for his last three games: 34 points against Arkansas, 30 against Syracuse, and 31 against Florida. Yes, the Ospreys lost all those games, but Moore still shot 56.7% from the floor and 47.1% from three. Oh, and by the way, an Osprey is a large, predatory, fish-eating bird. Remember that, cause there’s gonna be a quiz later. • Finally, from the just-in-case-you-care department: Once conference play gets underway, the Big Ten and the MAC are going to be experimenting with a rule that will allow the refs to check the monitor in the final two minutes of regulation and all of overtime to see whether a defender was inside the arc when he tried to take a charge. Overall, I think the refs have done a much better job making replay reviews quicker and less disruptive, and given the infrequency of these situations and the importance a late call can have over the outcome, I think it’s worth giving it a try. Last week was relatively quiet, and the next two will be as well, as players prepare for winter exams. The most significant result of the week, for polling purposes, was Saint Mary’s’ loss at home to UT-Arlington. Yes, losing at home is a much more significant setback than a road loss would be, but keep in mind that UTA is not bad (the Mavericks are ranked No. 57 on kenpom.com and beat Texas in Austin), and the Gaels also have true road wins this season over Dayton and Stanford. So yes, I had to ding them but I didn’t think it would be fair to drop them off my ballot entirely. I understand the argument to make Duke No. 1, but while I am willing to make certain adjustments based on my eye test, I believe strongly that if a team is ranked No. 1, then it should not relinquish that spot unless it loses a game. That probably won’t happen until at least New Year’s Eve, when Villanova has to play at Creighton. You can see that I weigh the home/road thing very heavily in my decisions. I left Cincinnati ahead of Butler even after Butler beat the Bearcats on Saturday because the game was played in Hinkle Fieldhouse—and because the Bulldogs dropped a game at Indiana State three days before. Xavier got penalized, but only a little, for losing at Colorado. Ditto Iowa State for losing at Iowa, but since the Cyclones were No. 24 last week, that was enough to drop them off my ballot. I rewarded Wichita State for that win in Oklahoma, and I felt compelled to recognize Notre Dame for playing Villanova so tough in what looked like a de facto road environment in Newark. That was the Irish’s first loss of the season, but their biggest wins have come by over Colorado and Northwestern (neutral) and Iowa (home). So their case to be ranked is hardly open-and-shut. I really tried to shoehorn Middle Tennessee onto my ballot after the Blue Raiders destroyed Vanderbilt at home by 23 points, but I just couldn’t find the room. If MTSU is able to win two road games next week at Belmont and VCU, then it will be awfully hard to keep them off my ballot. I also gave another good, long look at Florida Gulf Coast, which has three losses to quality teams (Florida, Baylor and Michigan State) as well as Colorado, which got that nice win at home over Xavier and played BYU tough on the road Sunday night before losing by three. Once again, there are far more teams worthy of being ranked than spots on my ballot, but we have many, many weeks to sort it all out. The rule, as always, is simple: You have to win to get in.